Medical bills are something that most Americans dread. They can reach into the hundreds of thousands, and there is often no choice as to whether to get the treatment or not, as it's vital for life. 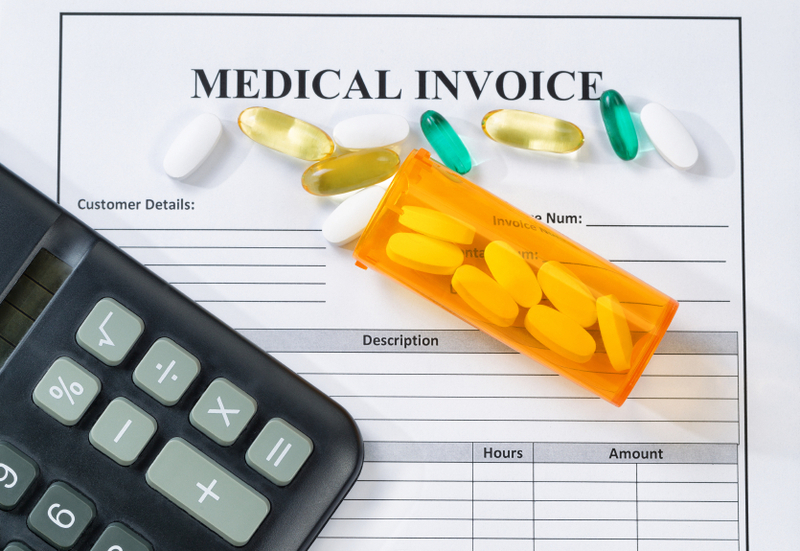 With over 50% of medical fee debt being related to prescription medications. That is drugs that a doctor has confirmed you need for a medical condition. This creates a big problem for many of us, even if we are insured. As unless we and those that we love have perfect health throughout their entire lives, we will be vulnerable to this issue at some point. So, if medical bills are keeping you up at night, read on to find some ways to minimize or avoid getting into a nightmare situation altogether. One of the biggest nightmares that folks can experience with medical bills in the US is that the negatively affect their credit rating. This is because medical collections companies can be particularly strict about logging missed or late payments. As the amounts are so high with, so many people not being able to get anywhere near paying them off, the incidence of missed payments can be frequent. Of course, this then affects the ability of the person whose account it is to get credit for other things in life such as loans, cars, and homes. Eventually in some cases leading to bankruptcy and further financial hardship. So what exactly can you do to avoid getting into this dire financial situation in the first place? Well, first of all, take out insurance. Yes, it's expensive, especially if you have a whole family to ensure, but when something does go wrong, as it is likely to, at least some of your medical bills will be covered. In fact, it usually works out that those that are insured are in debt to the tune of $10,000 less than those that aren't. Something that could definitely make the difference between being able to clear that debt and bankruptcy. If you are really struggling to pay personally for medical insurance, it may be useful to look for a job that includes this with the benefits package. In fact, some companies even offer coverage to their employee's families as well. Something that can make a big difference if the worst does ever happen. You can also help stay out of this nightmare medical bill situation by always paying the monthly amount on time. Yes, I know other things can get in the way, and may seem more pressing. Especially if you have already received the care and are fully recovered and feeling fine now. However, as mentioned above nonpayment can get you into a whole heap of trouble, and damage your credit rating. So it's definitely worth setting up an automatic payment for just after you get paid each month. As then you can't even fall into this situation accidentally. It may also be prudent to apply for social security disability if you continue to have medical issues that are stopping yours from working and causing you to struggle to pay your treatment bills. As the money that you get from this can help you stay on top of these bills, as well as your other financial issues like rent, groceries, and transport, even if you are unable to work. To claim for social security disability, you must be over 18 years of age and have a serious condition that is expected to last over a year. You can apply online, although many folks become discouraged because they are worried they will be refused if they do make an application. Although to help you with this you can get some assistance from folks like the ones at LaPorte Law Firm, as they disability claim specialists. So they can help you file your claim, answer any question about the process, provide advice and give your application the best chance of it being accepted. Something that is becoming more and more popular in recent years is US citizens going to other countries like Singapore, Brazil and Malaysia to get medical procedures done. Known as medical tourism, this is something that many folks choose to do because it can be cheaper to travel abroad and get treatment. In particular, having a procedure like surgery abroad can cost significantly less than it would do in this country. That also includes the flights to and from your destination, and accommodation while you are there as well as the procedures, medications, and aftercare. Of course, there are some downsides to this too, in particular, the problem with communication that can become apparent when traveling to countries where English is not their first language. Something that can be pretty scary if your life is on the line. However, the savings are so great for many that it makes this option something that cannot be ignored. As it becomes the only way to avoid the nightmare of medicals bill nightmares for the person involved. Lastly, to help avoid the continuing issue of medical bill nightmares, it is important that you research the issue, and be proactive in using your voice to ask the government for change. The real issue here is that while hospitals are allowed to set their own prices in a free market situation. So there will always be overcharging for essential medical treatments. This is problematic because it means that hospitals are profiting from people’s sickness. Something that doesn't happen in other countries in the world where their medical services are nationalized. Of course, the only way to change this is to make your voice heard and join in the appeal to Congress to change this system once and for all, for the better. To one where you don't have to face the choice between excruciating pain or death and bankruptcy. Where medical fees are standardized and affordable and not an additional burdensome nightmare that the sick have to shoulder along with their recovery.